Little Higher Bosullow is a farmstead on the downs above Morvah in far West Cornwall, among many ancient stone circles, burial chambers and other stone relics. 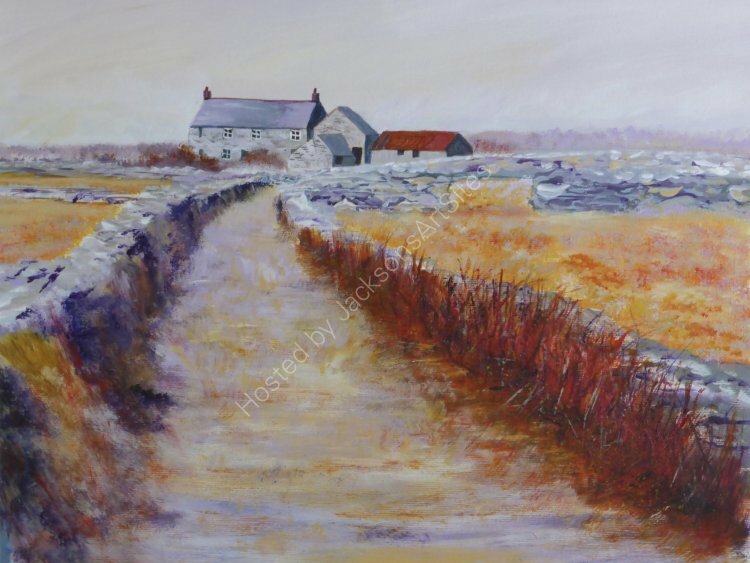 The arrangement of the stone walls around the fields in front of the farm inspired my painting, as did the colours of the moorland in autumn. An original painting in acrylic on canvas, to be framed. Image size 42x 32cms.